The Queen of Soul, singer Aretha Franklin, has died aged 76. The singer had a career that spanned the decades having hit records in the from the sixties to today. Among her many hits were (You Make Feel Like) A Natural Woman, Respect, Sisters are Doing It For Themselves, I Knew You Were Waiting (For Me), Think and Freeway of Love. She passed away in her hometown of Detroit surrounded by family and friends. The singer had reportedly been battling ill health for many years and appeared frail when she last performed, but shew largely kept her health battles private. She holds the record for the most singles charted on the Billboard charts in the USA with 112 different single releases making the charts during her long career. Franklin was born in Memphis Tennessee in 1942 and first began singing in church. Her father was a preacher and when Franklin was a teenager he began taking her on tours to sings gospel numbers alongside his sermons. Her father helped her get her first record deal and in 1956 she released a gospel album. At the start of the 1960’s the 18 year-old convinced her father to let he follow in the footsteps of other gospel singers, particularly Sam Cooke, and branch out into popular music. In 1961 she had her first top 40 hit with her rendition of the tune Rock-a–Bye Your Baby with a Dixie Melody. Over the next few years she released several albums and performed live continually in nightclubs. Her career had a major breakthrough in 1967 when she recorded Otis Redding’s song Respect. It became her signature song for the rest of her career. More hit songs followed with Think, I Say a Little Prayer, Chain of Fools. In the early 1970’s she enjoyed further success with the album Young, Gifted and Black and there were more hits with songs like Rock Steady, Spanish Harlem and Day Dreaming. The late 1970’s saw the singers career slow down but she returned to the top of the charts in the 1980’s. She had a memorable appearance in the movie The Blues Brothers and her 1982 album Jump to It, which was producer by Luther Vandross, saw her score a dance hit with the title track. In 1985 she topped the charts with Freeway of Love and then teamed up with the Eurythmics for the anthem Sisters Are Doing It For Themselves. George Michael teamed up with Aretha Franklin for his first solo release in the wake of his band Wham! breaking up, their duet I Knew Your Waiting (For Me) was a number one hit around the globe. In the 1990’s Franklin scored a hit when she recorded the song A Deeper Love. The song was written by producers David Cole and Robert Clivillés, the team behind C+C Music Factory, who had previously recorded it for their own album. With it’s chorus chanting “Pride – A Deeper Love” it became a favourite among the LGBTI community. In 1998 Franklin recorded A Rose is Still a Rose which was written and produced by Fugees member Lauryn Hill. In the same year Franklin delivered a memorable performance of the opera tune Nessun Dorma at the Grammy Awards. Franklin stepped in at the last minute for Pavarotti who had fallen ill. When President Barrack Obama was sworn in as president, Franklin sang at his inauguration. She performed My Country ‘Tis of Thee. The singers final album was released in 2014. Aretha Sings the Great Diva Classics saw the singer recording songs made famous by Adele, Gloria Gaynor, The Supremes, Etta James and Barbra Steisand. In 2015 Franklin became an internet sensation when footage of her performance at the Kennedy Centre honours was shared around world. The awards were honouring songwriter Carole King who wrote (You Make Me Feel Like a) Natural Woman. Franklins knock out performance received a standing ovation. 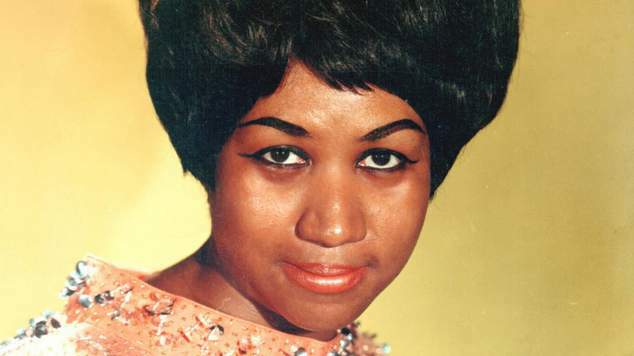 During her career Franklin received 18 Grammy Awards and had countless hits around the world. In 2005 she was awarded the Presidential Medal of Freedom, the USA’s highest civilian award, by President George W Bush. She also received a Kennedy Centre honour, was the first woman to be inducted into the Rock n Roll Hall of Fame, was one the cover on Time, and Rolling Stone magazine declared her the number 1 greatest singer of all time. Franklin’s contribution to music has been praised by some of the biggest names in the music business. Beach Boys singer Brian Wilson said Franklin was one the greatest and most emotional singers. “I’m very sad to hear about Aretha Franklin passing. She was one of the greatest and most emotional singers. I used to love listening to her in the sixties but her music is timeless. Love & Mercy to Aretha’s family and friends.” Wilson said.